Everything's back to norman (as the Rugrats would say) this week. True, Monday was still a holiday and my gawd, was this 4 day week loooong! I did have a book signing Friday which was SUPER fun!! I got to meet Holly Black! Keep an eye on the blog in the coming weeks for a surprise, that's all I say on that matter! ;) I think it's been about 5 years since I've met her! I had to have met her at an RT, I was thinking 2012 in Chicago, but not super positive. Anyway, it was a lot of fun, as ALL signings are!! 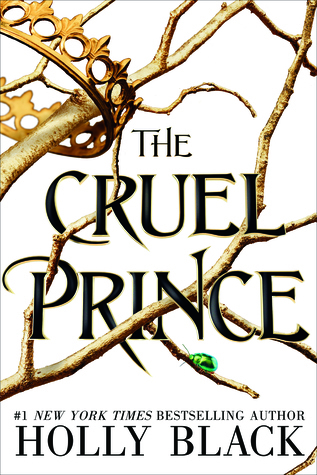 The Cruel Prince by Holly Black--already read & reviewed! Technically it was the B&N edition I read, but same thing minus the short story! The Cruel Prince by Holly Black--The B&N edition because there's a Tithe short story inside!! And YES! This new book is in the same world as TITHE!!! 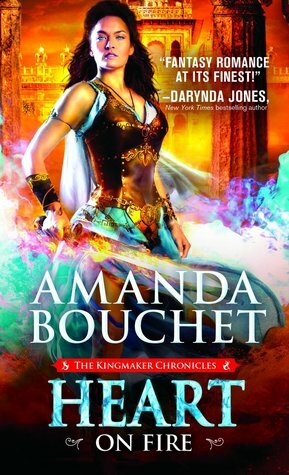 Heart on Fire by Amanda Bouchet--now I can binge the last two books!! THANK YOU Disney-Hyperion & Netgalley! This little beauty came from Fandom Sleeves! And then I got another gift card to B&N from my credit card company! So overall, it was a pretty good week even with the return back to work and future return day after day for the next 280 days until I take my trip to ORLANDO!!!! Yes! I'm counting!! Lol! You got some great books. 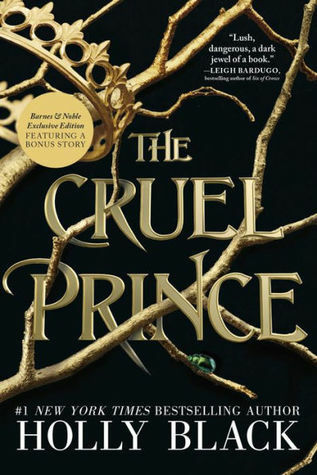 I have heard nothing but great things about The Cruel Prince I really need to read it soon. Enjoy your week. Oooo. Are you going to Universal Stiludios Harry Potter world when you go to Orlando? I went a few years ago, but it was before the Hogsmeade section was built, so I'd like to go again. Wow. I obviously can't spell. I meant Studios, not whatever that word is. Sigh. oh some interesting things for you! happy reading! I still need to read the bonus story as well! 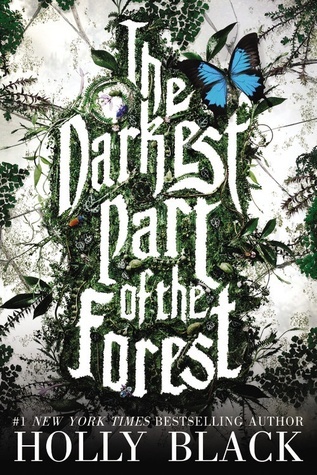 I've been wanting to try Holly Black, and The Darkest Part of the Forest is the one I've most had my eye on, so maybe it's time. With a new year it's time to try a new author! I've heard such good things about The Cruel Prince! I'm going to have to check at the library to see if they have it already. 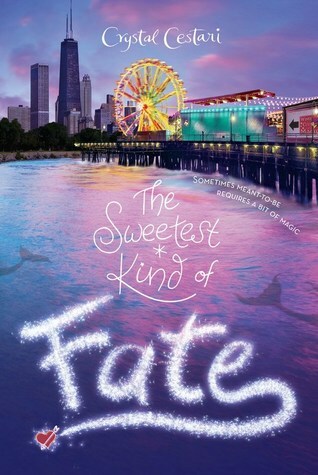 I love that cover of The Sweetest Kind Of Fate it is so pretty! I really need to read Holly Black. The Cruel Prince looks so good. I hope you enjoy all of your new books. Have a great week! I also got The Cruel Prince this week, the white edition. I have heard so so much about it, and I can't wait to get to it! I'm even more excited since it was so good you were willing to spring for TWO editions. I love the B&N version of The Cruel Prince! I have the plain old white hardcover which is still nice but the black one is really cool. I hope you enjoy all of your new books! What a cute book sleeve! 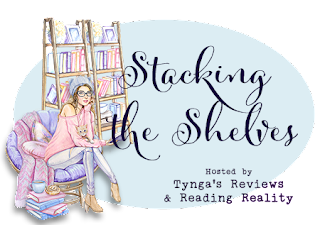 I've been away from the book blogging world for a while and didn't even know about book sleeves! I enjoyed Heart of Fire (the entire series) and hope you do as well. It sounds like you had a great week! I love meeting authors and getting books signed. I haven't read Cruel Prince yet, but it sounds great! I was wondering if Cruel Prince was related to TDPotF---interesting to hear that it's related to Tithe.